 Survox Multi-Mode Platform - Survox Inc.
Survox’s multi-mode survey management platform provides a scalable solution for data collection and management. Whether online, by live-interviewing , or with automated voice response Survox can reduce costs and help you conduct market research and opinion polling more efficiently than ever before. Survey Manager — controls the interview based on a questionnaire and logic authored in Survox or a variety of online vendor solutions. Sample Manager — integrates with panel vendors or other sources, manages DNC lists, and optimizes the respondent recruitment process based on quota requirements and market specifications. Operations Manager — provides a shop-wide view of study completion rates and the control to shift resources as needed. Dialer Manager — provides instructions to auto-dialers to control abandonment rates and optimize interviewing capacity. Survox technology integrations support multi-mode data collection across the leading online survey platforms. The cross platform, multi-mode capability is available as an upgrade for all existing Survox customers. “We find found the control Console to be extremely user friendly. We have used it to start our company from scratch and are on our way to having multiple locations with supervisors, programmers and managers that have all levels of experience (beginner to veteran).